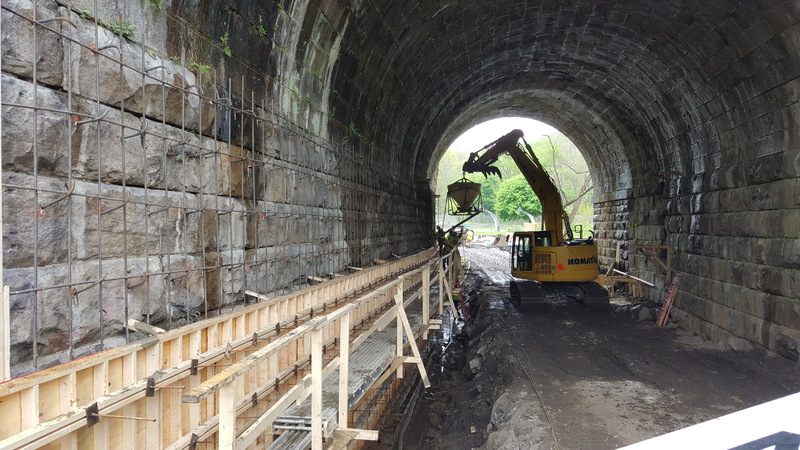 The Norfolk Southern project in Bolivar, PA involves the rehabilitation of an old double barrel arch train bridge over Tubmill Creek. The old stones that make up the arch were showing signs of cracking and movement. 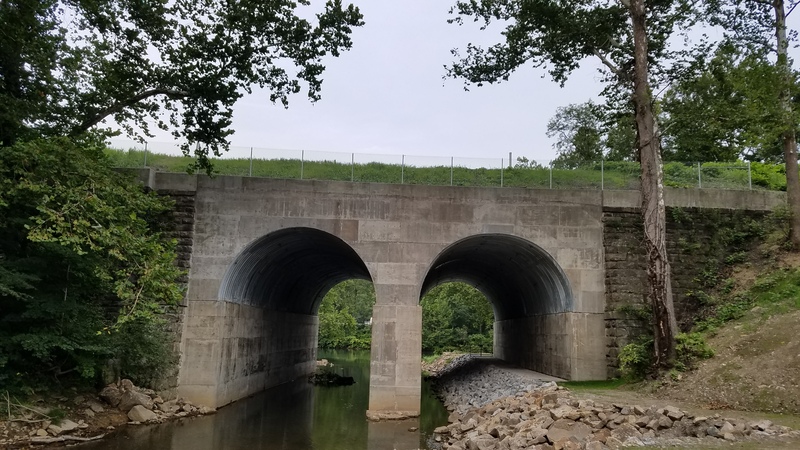 Work on this project included dowels and rebar installation, concrete encasement on the benchwalls and spandrel faces, galvanized steel arch liner installation, grouting of the arch liner and new wing and parapet concrete caps. 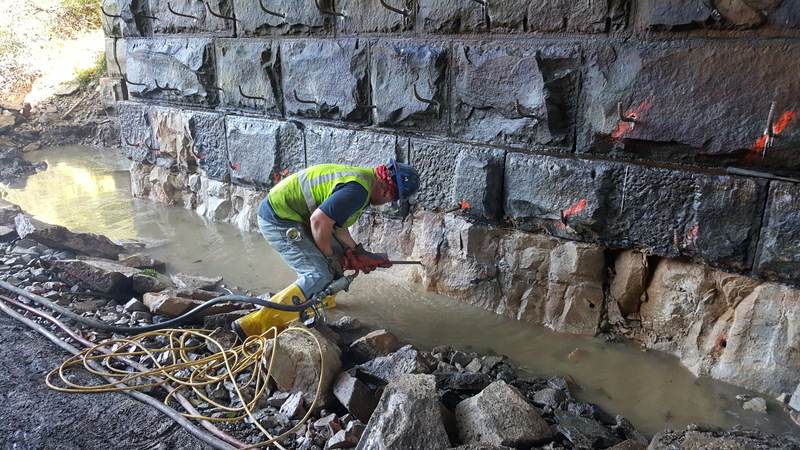 Helical anchors were also installed through the new parapet on the north side. 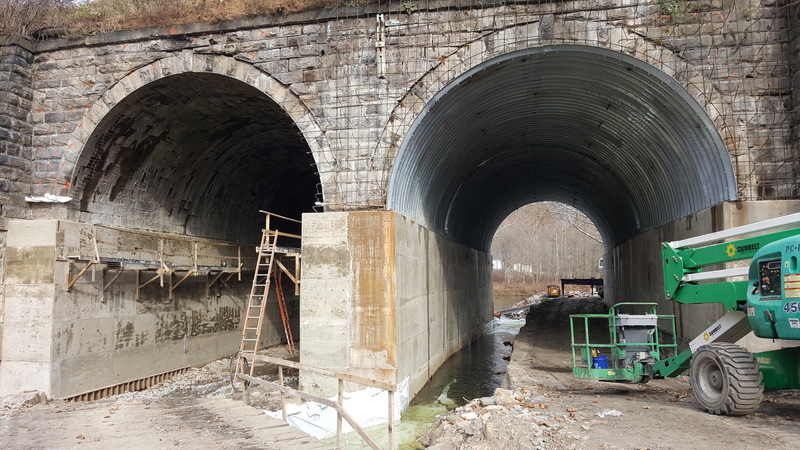 Access to phase two of this project required a large water diversion effort to control Tubmill Creek before flowing into the Conemaugh River.